22. 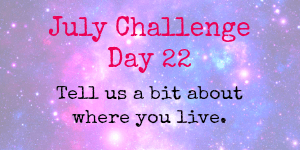 Tell us a bit about where you live. Glasgow to the west Stirling to the north and Edinburgh to the east, all of which are about a 20-45 min drive away. The nearest town is only 15mins away which is were I grew up.